Housing foreclosure rates in the Los Angeles area stayed flat in January compared with December but foreclosure inventory fell sharply compared with a year ago. 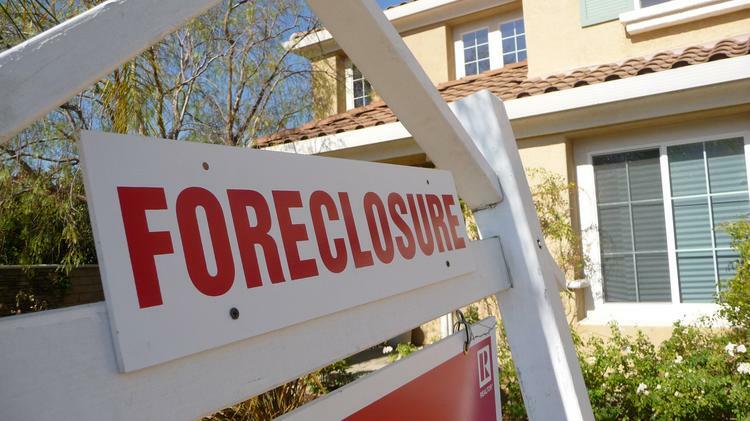 The rate of foreclosures in the Los Angeles-Long Beach-Glendale area among outstanding mortgage loans was 0.5 percent in January, but foreclosure inventory was down 23.6 percent from a year ago, according to property data firm CoreLogic (NYSE: CLGX). Completed foreclosures fell 11 percent to 4,250 in January from 4,799 a year ago. CoreLogic also reported that the rate of mortgages in serious delinquency (defined as 90 days or more past due, including loans in foreclosure or REO) fell by 22.5 percent from a year ago to a rate of 1.8 percent. For California, the foreclosure inventory fell 24.3 percent to a rate of 0.4 percent, while completed foreclosures declined 14 percent to 25,154. The serious delinquency rate dropped 23 percent to a rate of 1.6 percent in January. Nationally, foreclosure inventory declined by 21.7 percent and completed foreclosures declined by 16.2 percent compared with the year-earlier period. The number of completed foreclosures nationwide decreased year over year to 38,000 from 46,000 a year ago. The number of completed foreclosures in January was down 67.6 percent from the peak of 117,743 in September 2010. Since the financial crisis began in September 2008, there have been roughly 6.1 million completed foreclosures across the country, and since homeownership rates peaked in the second quarter of 2004, there have been 8.2 million homes lost to foreclosure, CoreLogic said. As of January, the national foreclosure inventory included 456,000, or 1.2 percent, of all homes with a mortgage compared with 583,000 homes, or 1.5 percent, in January 2015. The January foreclosure inventory rate has been steady at 1.2 percent since October of 2015 and is the lowest for any month since November 2007. The number of mortgages in serious delinquency declined by 22.5 percent from January 2015 to January 2016, with 1.2 million mortgages, or 3.2 percent, in this category. The January 2016 serious delinquency rate is the lowest in eight years, since November 2007.